Proverbs 4:7 Wisdom is the principal thing; therefore get wisdom: and with all thy getting get understanding. When cooking in Chile I compensate relative to my desire for hot dishes by adding lots of pepper and merken (a traditional Chilean spice) to my food (see above scrambled eggs with black pepper). However, the local grocery story is starting to carry more “international” food item from the other Americas. I scored these two babies pictured below today at the grocery. 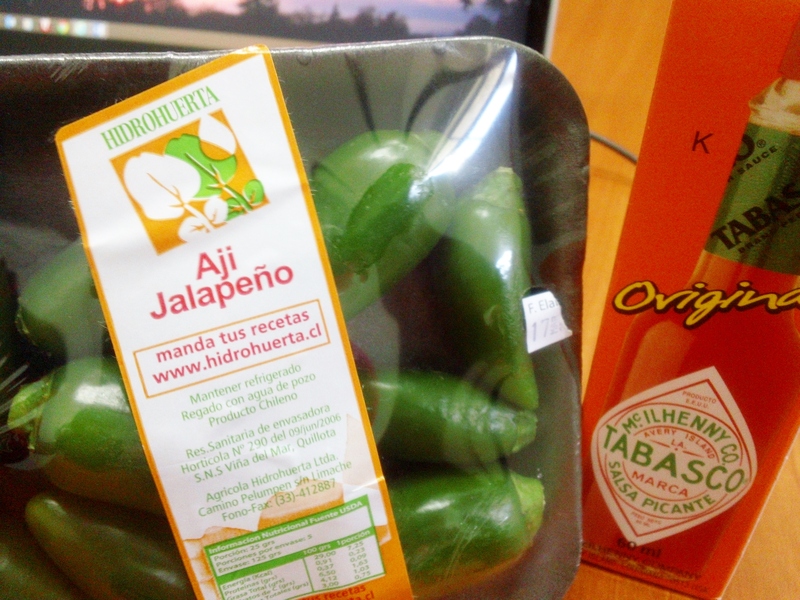 It’s not very often that we get fresh jalapeños in, so I snatched me up these hot peppers real quick. I honor and dedicate this particular post today to Mr. Richard Neal who passed away last summer, but was a role model and mentor to me and so many minority students, faculty, and staff during this long and distinguished tenure at the University of Akron. I know God had a special reward when you arrived as you have blessed so many people and played such a big role in the successes I’ve had as a professional and now doctoral candidate. Thanks Mr. Neal. 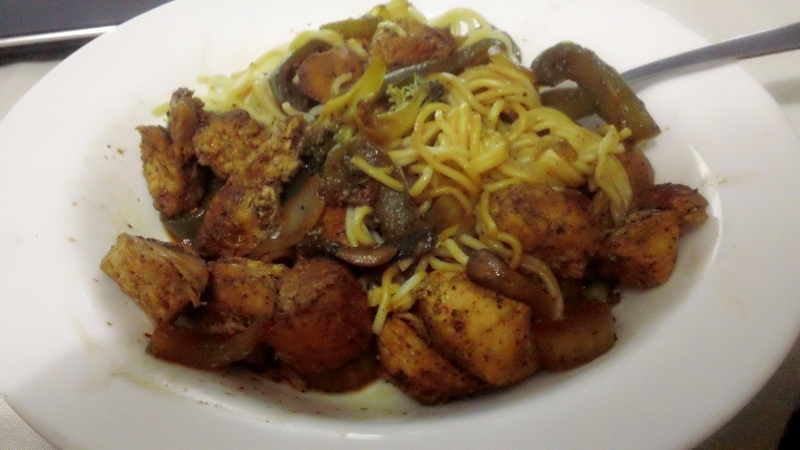 The meal ended up being so delicious I wish I could share it over the blog: Blackened Merken chicken breast cubed over angel hair pasta in a soy sauce base plus: (jalapeños, mushrooms, green bell pepper, sweet onion, celery, broccoli) all grilled together. This entry was posted in Adult Education, Blog Archives, Doctoral Research, People and Culture, Visiting Scholar and tagged Academic Success, Chilean Food, Eating Abroad, Education, Higher Ed. Minority Affairs, Hot & Spicy Foods, Intercultural Relations, Mr. Richard Neal, Visiting Scholar. Bookmark the permalink. ← ¡Ay no! Les duelen mis pies de caminando en El centro. I actually was just at the Mall of Talca today and they are have a Book Fair near the food court. There where a number of cookbooks I perused with plans to return this weekend and make a purchase. I will check out your site to do offer recipes as I love both cooking and eating. 🙂 Thanks for commenting!